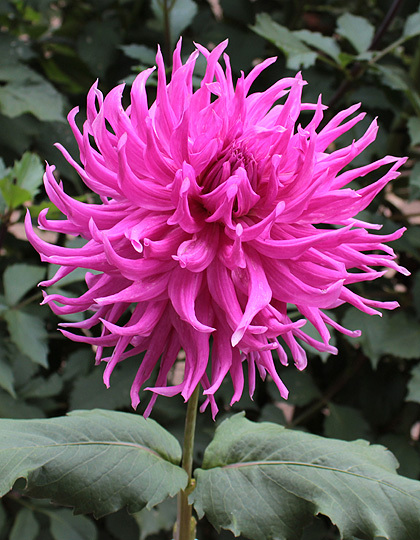 Striking incurved form combined with bright purple make this an "I want" dahlia. Went best in show first time entered. Great addition to the garden.